I believe deals like this one don’t come around very often! I was told last month there was a good one coming but didn’t expect 20% of these enrolment kits. That’s a massive saving. Let me break them down for you and let you know how much you’re actually saving and what you’re getting for your $$. By far the most popular kit. So, as you can see if you bought each item separately it would come to $564.57 retail, but if you joined with the $35 membership then each item would total $450 (because everyone gets a wholesale account when you pay the joining fee). 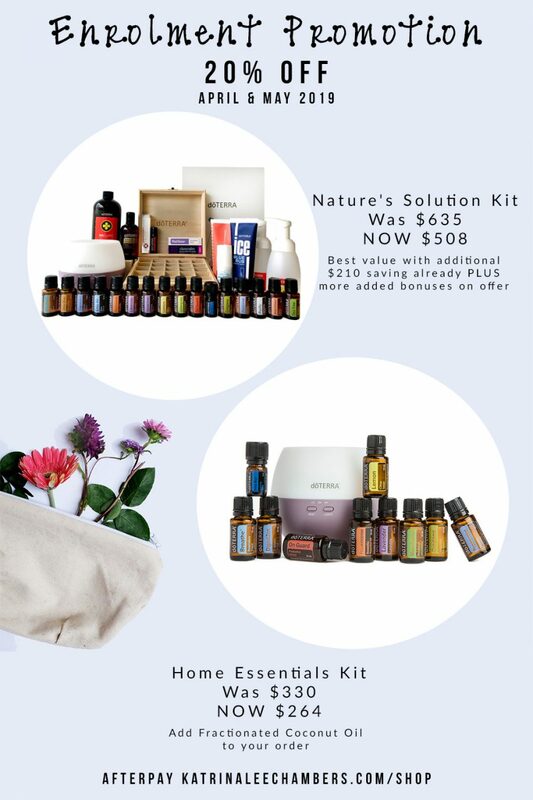 BUT doTERRA package this up in a kit and always sell the Home Essentials Kit at $330. With 20% off in April and May you’re then only paying $264. OMG amazing. The biggest savings are had here. This kit will help you overhaul your home and health. 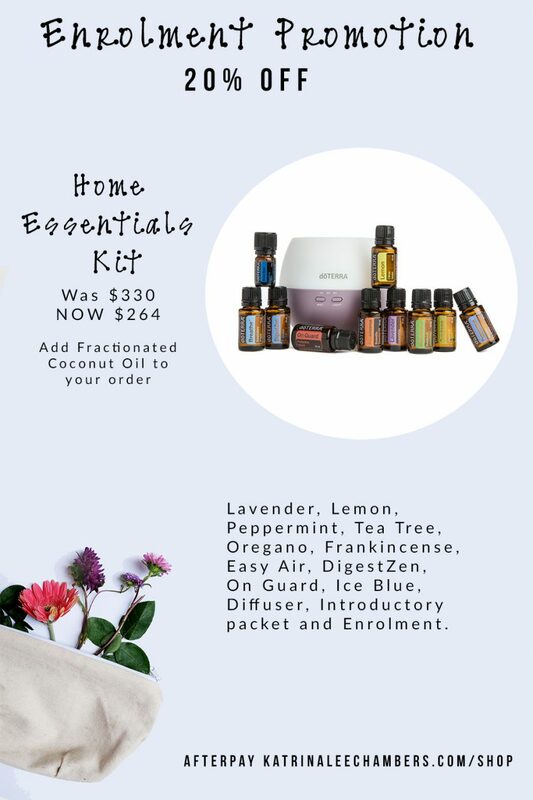 Again, as you can see if you bought each item separately it would come to $1073.56 retail, but if you joined with the $35 membership then each item would total $845.00 (because everyone gets a wholesale account when you pay the joining fee). 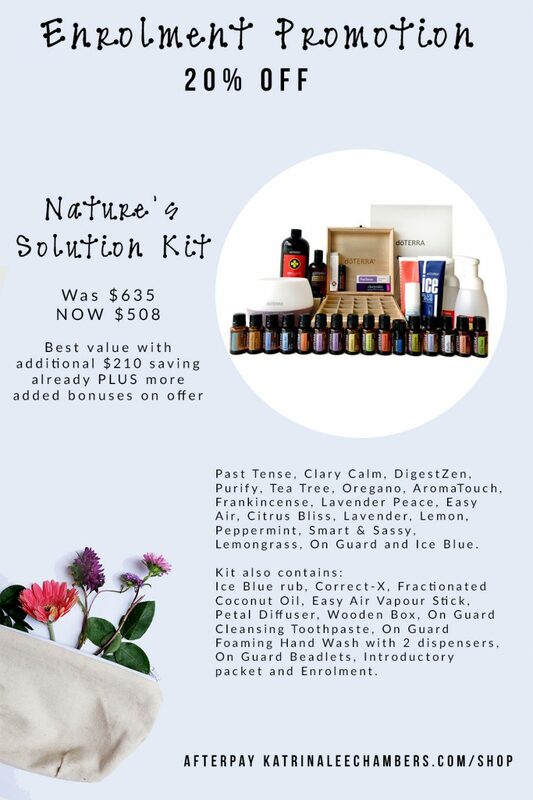 BUT doTERRA package this up in a kit and always sell the Nature’s Solution Kit at $635. With 20% off in April and May you’re then only paying $508. 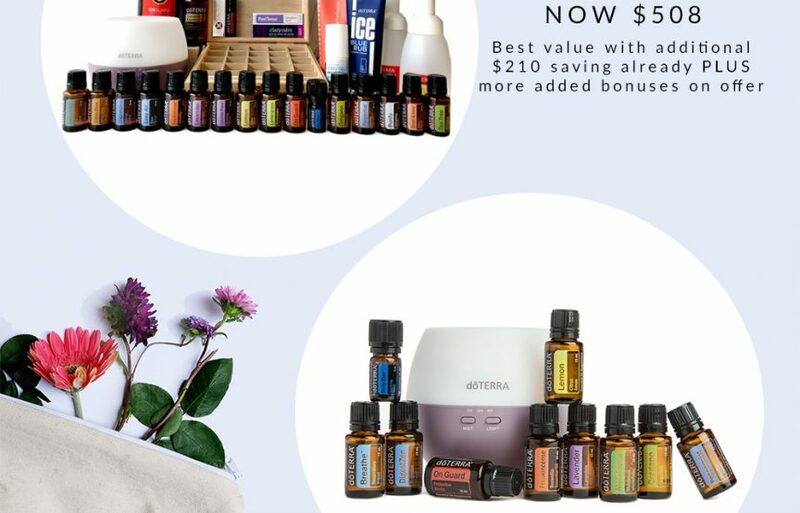 How to do you buy doTERRA? Head to this blog post to view the steps, or go straight to my SHOP and buy now. I have lots of workshops coming up this month you can join. Or read all my essential oil posts here. Previous Article Previous post: How many drops should you use in your diffuser?